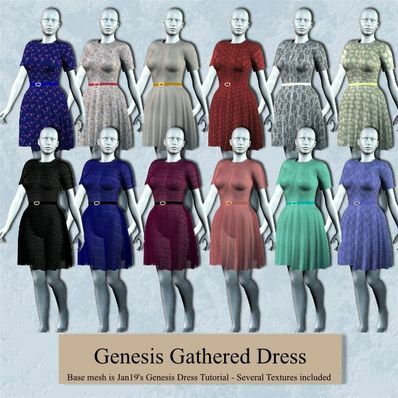 A Gathered Dress for Genesis for use in Daz Studio 4. I have made this dress using Jan19's free modeler's resource pack, adding a belt to finish off the dress. The pack can be found here: http://www.sharecg.com/v/55529/gallery/21/DAZ-Studio/Dress-Genesis. Such a classic dress, thank you so much.